Another Quick Pick from the library. 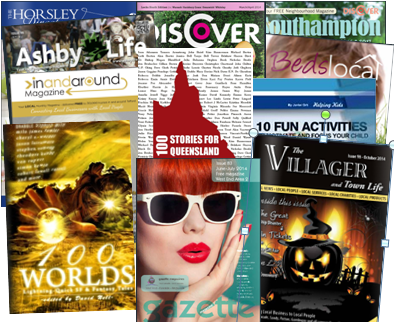 Her recent career as a full-time writer of light-hearted romantic fiction has come as somewhat of a lovely surprise after spending eighteen years running her own marketing agency. However, she has always been an avid reader, hiding her book under the duvet and reading by torchlight. Never without a book on the go, she now thinks she may have found her dream job! She loves to hear from her readers. Tilly Parker needs a fresh start, fresh air and a fresh attitude if she is ever to leave the past behind and move on with her life. As she seeks out peace and quiet in a new town, taking on a plot at Ivy Lane allotments seems like the perfect solution. 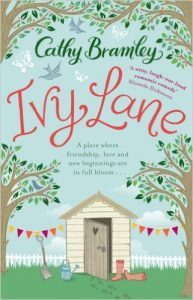 But the friendly Ivy Lane community has other ideas and gradually draw Tilly into their cosy, comforting world of planting seedlings, organizing bake sales and planning seasonal parties. 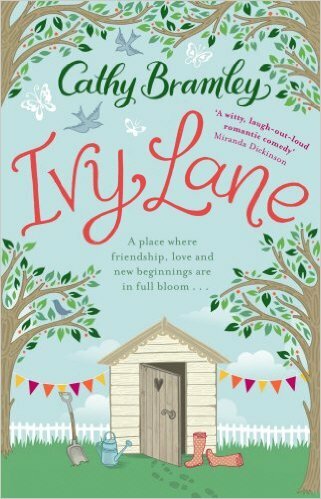 While Ivy Lane has many great comedy moments, it also has a deeper, darker plot strand, and for a long time, we’re left unsure as to the exact nature of the trauma that Tilly’s left behind her. These two contrasting tones help to make the story more realistic – like the Queen song says, into every life, a little rain must fall – and allows it to tug on the heartstrings. And yes, I even had a snivel at one point. As I may have mentioned before, I’m a sucker for a story about new starts, so this tale of Tilly’s allotment and how it reflects her attempt to rebuild her life while simultaneously hiding from it is a winner for me. I also liked the fact that there was a sense of closure for the characters; I wasn’t haunted by worries about what had happened to X or Y. The supporting cast are well drawn, likeable characters, with one exception…. Charlie. He’s my only gripe. There were just a couple of points when the behaviour of this potential love interest didn’t seem quite consistent, but I can’t say any more without spoilers. Overall: A very enjoyable read. I’ll be looking out for more of Cathy’s titles.